Here you have a list of opinions about Niger–Congo languages and you can also give us your opinion about it. You will see other people's opinions about Niger–Congo languages and you will find out what the others say about it. The Niger–Congo languages constitute one of the world's major language families, and Africa's largest in terms of geographical area, number of speakers, and number of distinct languages. They may constitute the world's largest language family in terms of distinct languages, although this question is complicated by ambiguity about what constitutes a distinct language. A characteristic common to most Niger–Congo languages is the use of a noun class system. The most widely spoken Niger–Congo languages by number of native speakers are Yoruba, Igbo, Fula, Shona and Zulu. The most widely spoken by total number of speakers is Swahili. Some scholars have doubted whether Niger–Congo is a valid genetic unit or rather a typological grouping, but most specialists today consider it to be a valid family, although there is no consensus on the subclassification. In the image below, you can see a graph with the evolution of the times that people look for Niger–Congo languages. And below it, you can see how many pieces of news have been created about Niger–Congo languages in the last years. Thanks to this graph, we can see the interest Niger–Congo languages has and the evolution of its popularity. 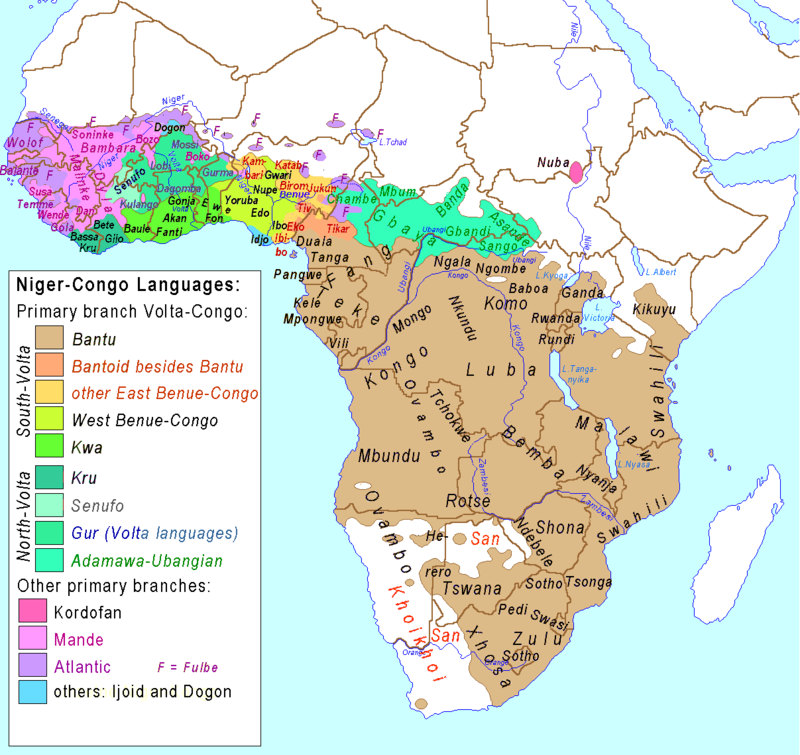 What do you think of Niger–Congo languages? You can leave your opinion about Niger–Congo languages here as well as read the comments and opinions from other people about the topic.